The Nigerian society is made up of various cultures, tribes, languages and traditions which have their own inherent belief systems. Over time, modernization has helped in changing some of these cultural beliefs. Most popular among these was the 1888 abolishment of the killing of twins by Mary Slessor in Calabar. Sadly, communities around us still hold firmly to some of these beliefs which can sometimes impact negatively on the development of such community, ultimately reducing standard of living of the people. 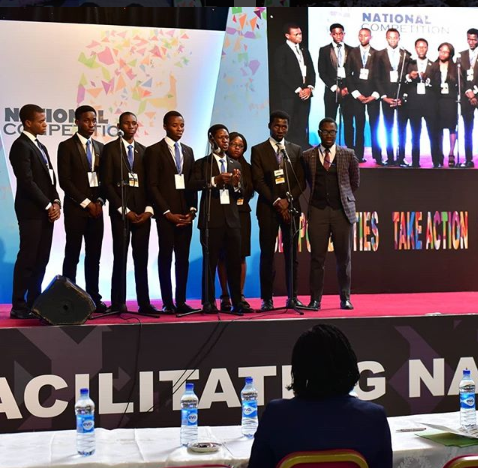 The Enactus Leadership Challenge funded by ACT Foundation is a showcase of the impact being achieved by Enactus teams across Nigeria implementing special projects to address the challenge of retrogressive or counter-productive cultural belief systems and norms. The Leadership Challenge seeks to support the most outstanding and impactful initiative which aims to correct such erroneous cultural beliefs that hinder community progress, thus improving the quality of life for residents of such community. The challenge which kicked off with 26 tertiary institutions across Nigeria saw them battle it out to the top 5, and then top 3. On July 25, 2018 the die was cast as the top three schools: Federal University of Agriculture Abeokuta, Federal University, Dutsinma, and the University of Ibadan battled it out to clinch the highly coveted first place. The Drops of Life project flaunted by the Federal University of Agriculture Abeokuta, was born out of the fact that the people of Ogboja believed that a god exists in their water, as such nothing new must be introduced to the water/river. This river which serves as the only source of water is contaminated and as such residents are exposed to health complications like cholera, dysentery, etc. Project “Drops of Life” seeks to purify their water using biofilters, charcoal, granite and other materials. Federal University of Dutsinma are hopeful that project HOFAL – Hope for Almajiris will solve the Almajiri situation in Dutsinma, Katsina state. The Almajiri are mostly found in the Northern part of the country, and roam the streets most often exposing themselves to dangers, cultism and other vices. Their project which engages the Almajiri in entrepreneurial skills that will help them become contributory members of the society signals innovation and adventure. These Almajiri are now skilled in cap making, shirt branding, marketing, Adire production etc. The University of Ibadan unveiled the project Irapada Irefin. Irefin community believes it is bad luck to have a toilet facility at home, hence people defecate in public and this ushers in more harm than good to people and the environment in which they dwell. Irapada Irefin seeks to improve the hygiene and environment of Irefin community through sensitization and awareness; increase of sanitary activities, and the provision of public toilet facilities made from waste gathered around the community. These outstanding projects made it to the top 3 at the Enactus Leadership Challenge. Which do you resonate it? And who do you think will emerge winner?